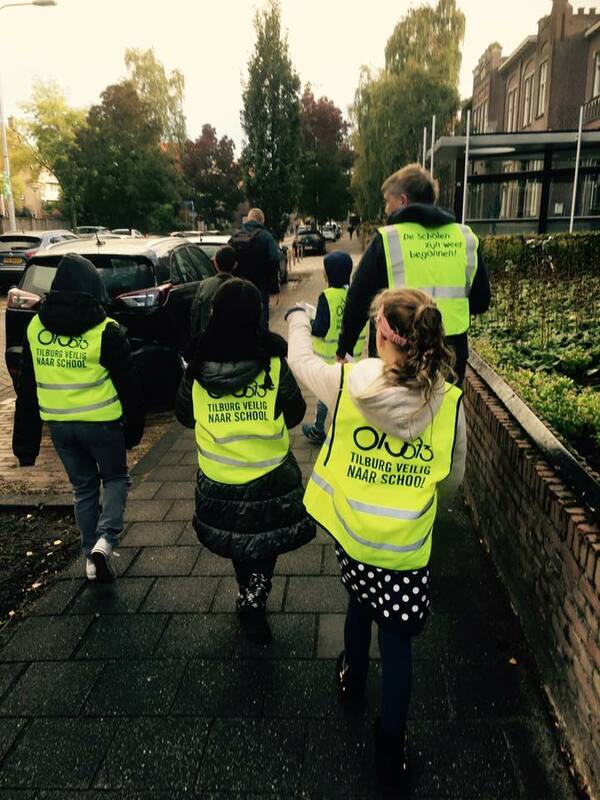 On October 25, 2018, the Tilburg Veilig Naar School´s (Tilburg Safe To School) activity the School Environment Scan took place in Tilburg under the METAMORPHOSIS project. After the joint creation of the activity by Thomas Oorschot and Jules van Herpen of the Breda University of applied sciences as a part of their internship placement, the activity was organised by Jules van Herpen. The SES activity is a way to get to know the opinion and thoughts of a certain group of end-users about their surroundings in an interactive way. In specific, it aims to understand the surroundings of primary schools within cities and the way in which they are perceived by their users (e.g. the children of those primary schools). Knowing this will help to alter them in a way so that safety and liveability are improved. The municipality is a facilitator in which it tries to support the end user as far as possible in realizing their goals. Through a system based on TIPS and TOPS, children can communicate their opinion and thoughts about their surroundings to the ones that can influence it. During the activity the municipality, parents, and the children will walk through the school environment together. During the walk, the children can hand out these TIPS and TOPS. By doing this, the municipality will be able to identify priorities in for possible neighbourhood (re)development. After looking at their surroundings, the children will think of ideas of improvement during a workshop and present these to the class, parents, and municipality.